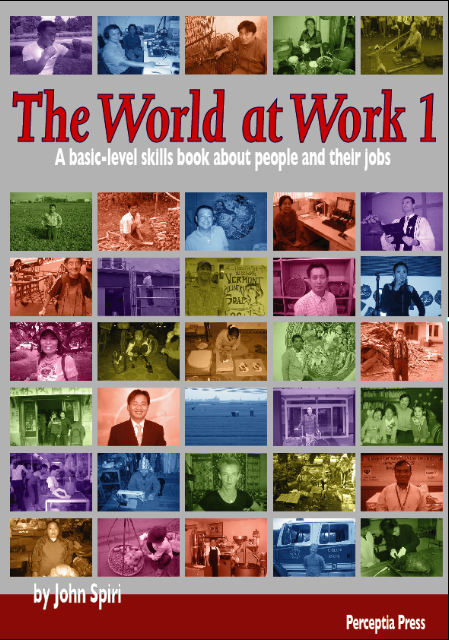 The World at Work 1 (Basic) is a fascinating book that will encourage your students to think about their future careers. This textbook features interviews with people from all walks of life. Have your students ever considered becoming an innkeeper, a persimmon farmer, a photographer, a singer or perhaps a boxer? Fifteen fascinating real-world careers are presented through a series of authentic interviews and supplementary activities. For language development, The World at Work 1 (Basic) is an integrated-skills language textbook offering a rich range of authentic listening, speaking, reading, and writing activities. World at Work 1 (Basic) is great for lower-level students who need extra language support as they develop their comprehension and production skills. If your students are ready for a bigger challenge, have a look at World at Work 2 (Intermediate).